Women who smoked were three times more likely to have a heart attack than women who did not smoke - but in men, smoking only doubled their risk. High blood pressure increased a woman's risk by an extra 83% relative to its effect in a man. 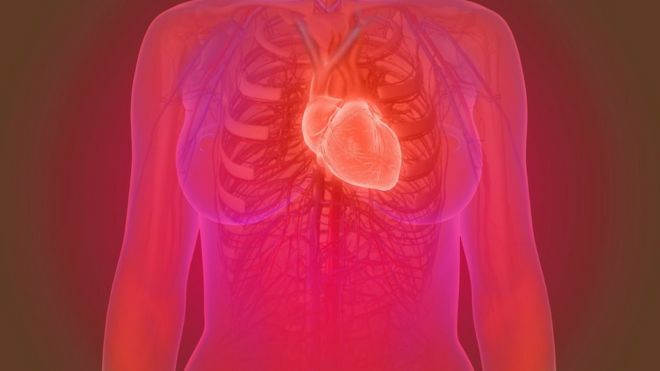 Dr Elizabeth Millett, lead study author and an epidemiologist at the George Institute for Global Health, University of Oxford, said: "Heart disease also affects women and this needs to be recognised. "Women need to be aware they're at risk, but despite lots of campaigns, it's still under the radar of most women. "It's a complicated, long-term thing to work out, probably caused by a combination of factors - both biological and social," she said.